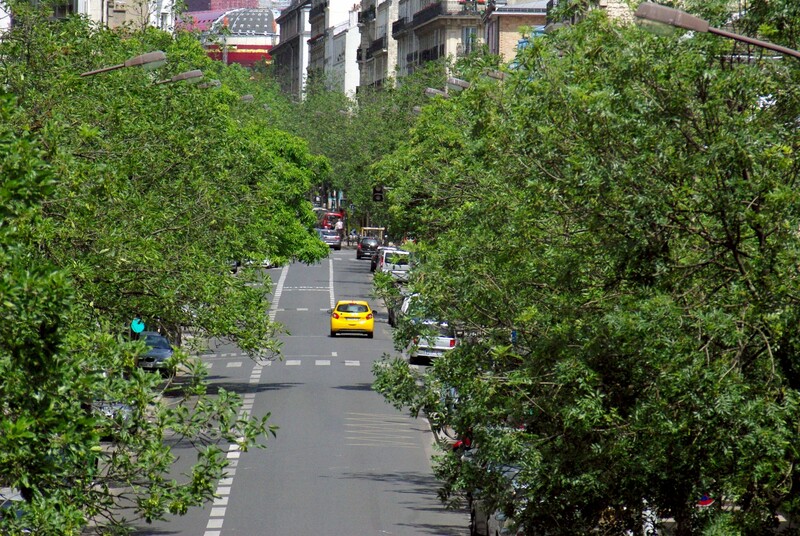 The Promenade plantée, also known as the Coulée verte René-Dumont, runs through the 12th arrondissement of Paris. 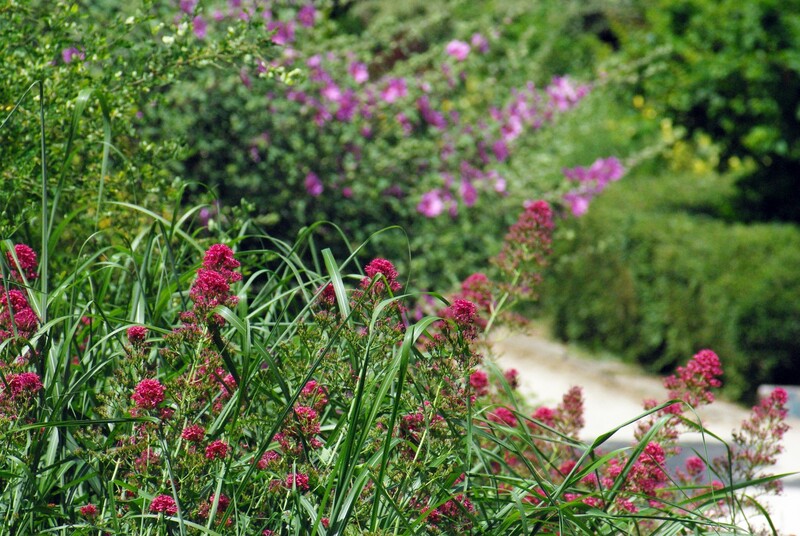 This 4.5 km green corridor is Europe’s longest and only elevated park. The Coulée Verte René-Dumont was designed on an abandoned 19th-century railway viaduct used by freight trains to link the former Bastille railway station to the eastern suburbs of Paris. 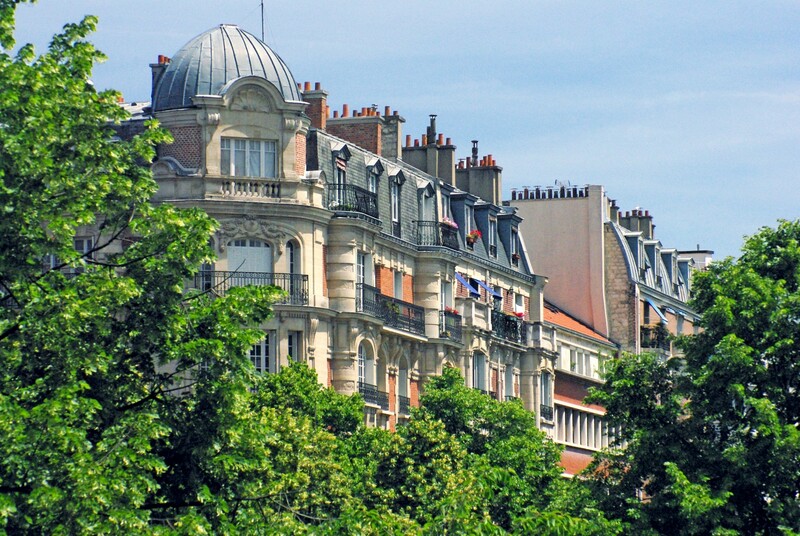 The parkway now runs through the entire length of the 12th arrondissement, from the Opéra Bastille to the Bois de Vincennes. Rail traffic was discontinued from 1969 and the tracks were abandoned for years, devaluating the social and cultural perception of the area. 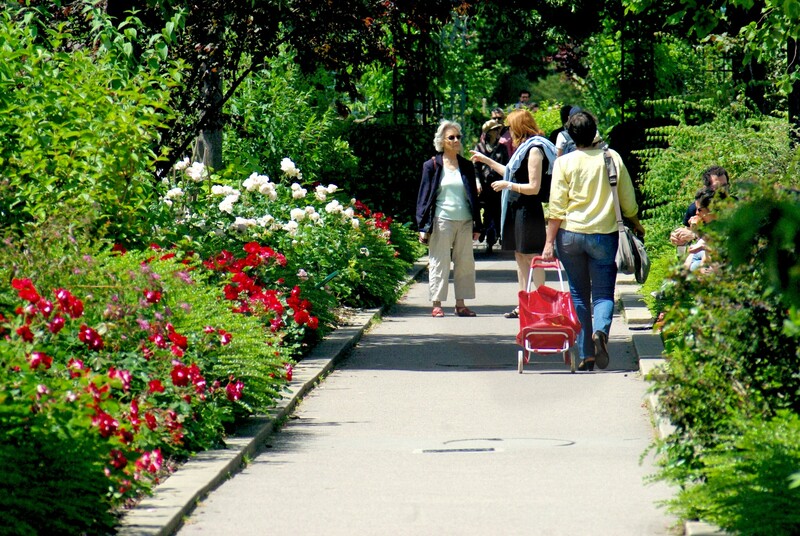 In the early 1990s, the City of Paris decided to replace the disaffected tracks by a surprising green corridor reserved for pedestrians: the Promenade plantée. By the 1990s, the 1.5 km viaduct Daumesnil, easily recognisable with its red brick arches, was turning into ruins. The project of the Promenade plantée definitively saved it from demolition. 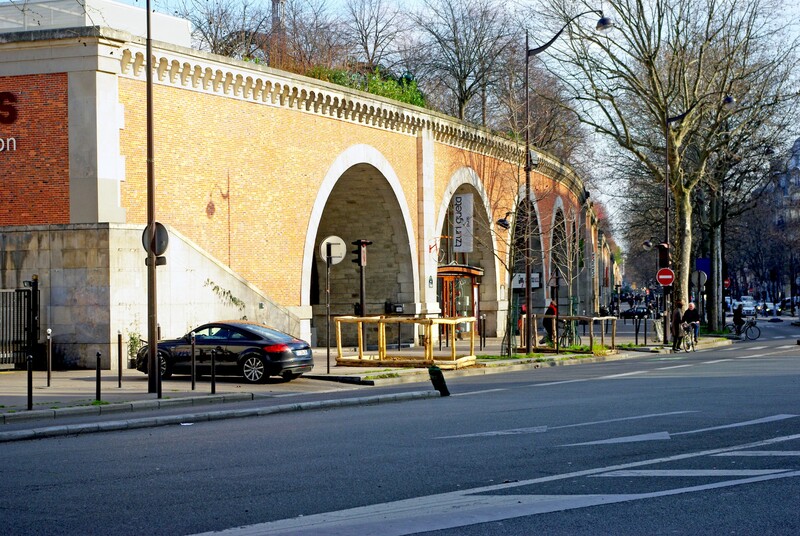 Since 1998, the restored viaduct has included 45 studios: arts and crafts workshops, galleries, furniture showrooms, a restaurant and a café, hence deserving its new name: Viaduct des Arts. It is considered by many as a contemporary landmark of Paris. 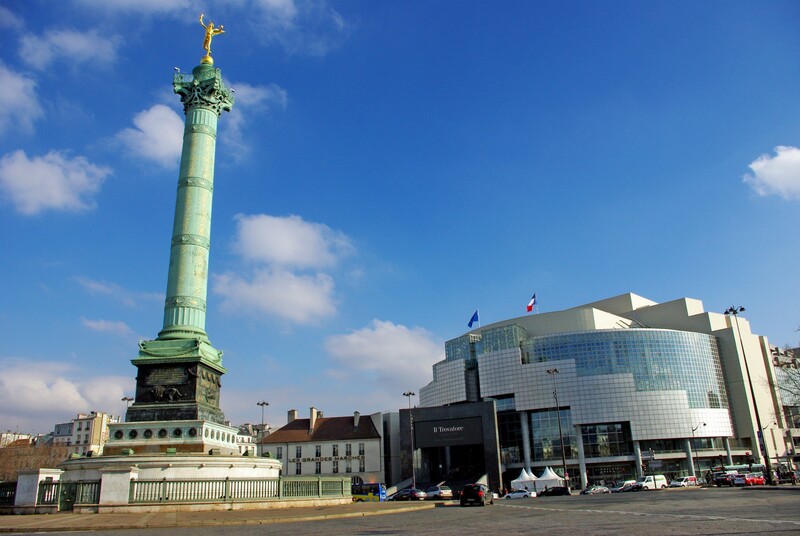 From the Opéra Bastille to the Jardin de Reuilly, the Promenade plantée runs on top of the Viaduct des Arts for 1.5 km. 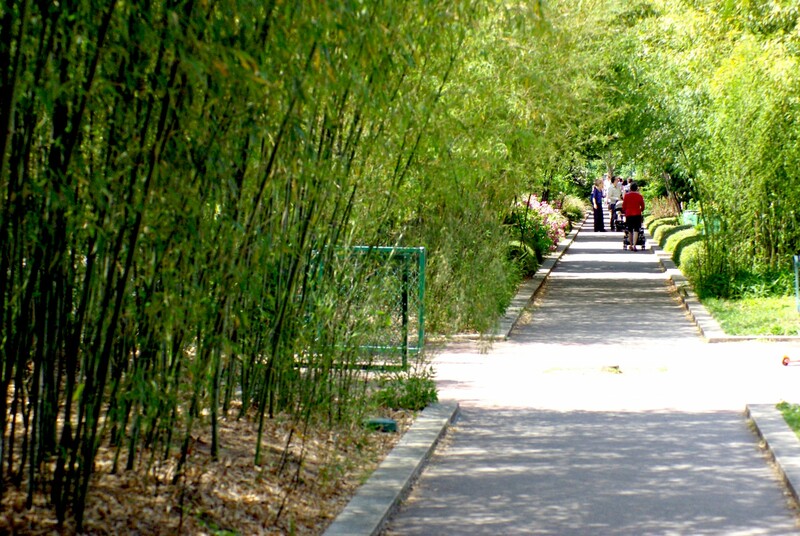 It consists of a narrow pathway bordered with small trees, shrubs and plants: roses, lavender, bamboo, ivy, vines, wisteria. 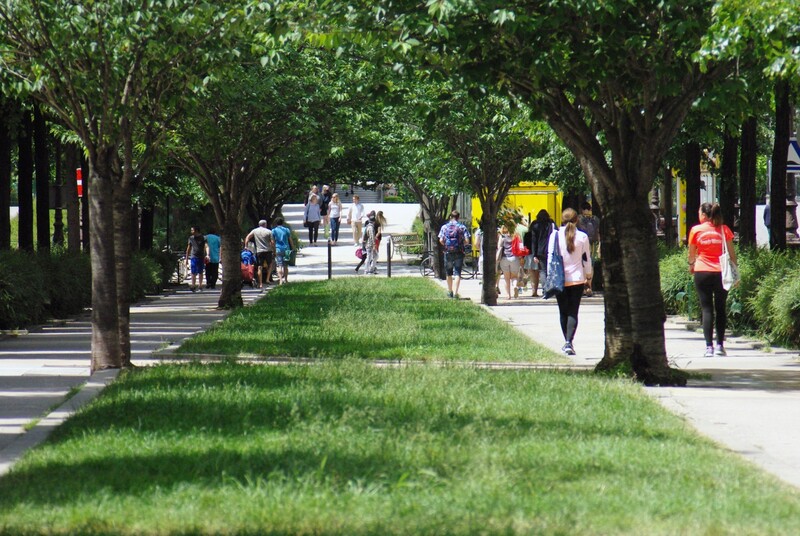 Some unexpected trees can also be found along the walk: cherry, maples, and lime trees. The elevated promenade sometimes widens when the viaduct crosses a street, and stairs leading to street level can be found here and there along the walk. 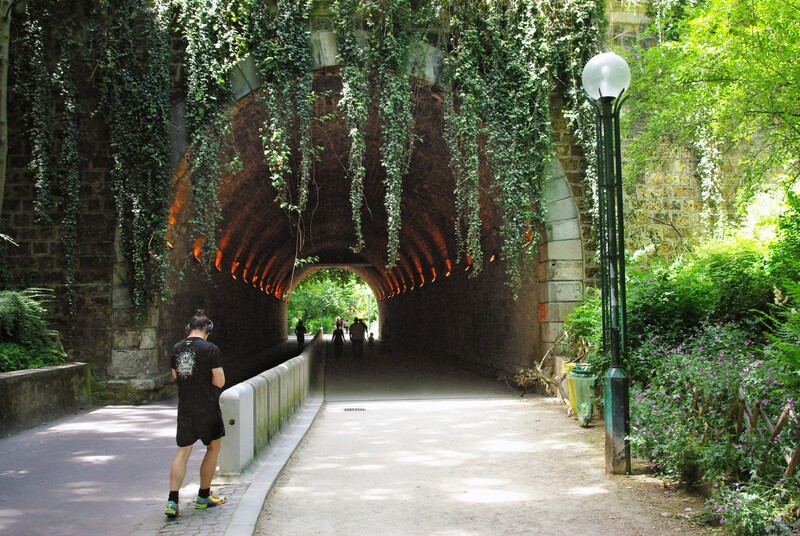 Although the pathway runs on the top of the viaduct, the view will rarely embrace typical Parisian landmarks such as the Eiffel Tower or Montmartre. 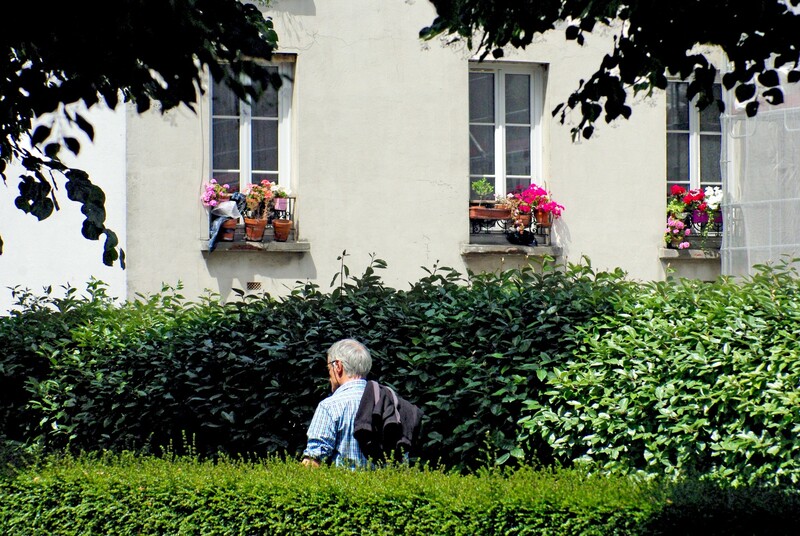 But it gives visitors many opportunities to view Parisian habitats from another angle. At times, the Promenade will seem to float amidst old and new buildings, haussmanian avenues and dense residential streets. The belfry of the Gare de Lyon is one of the few Parisian landmarks that can be seen from the Viaduct des Arts. The Gare de Lyon is one of the major 6 Parisian railway stations. 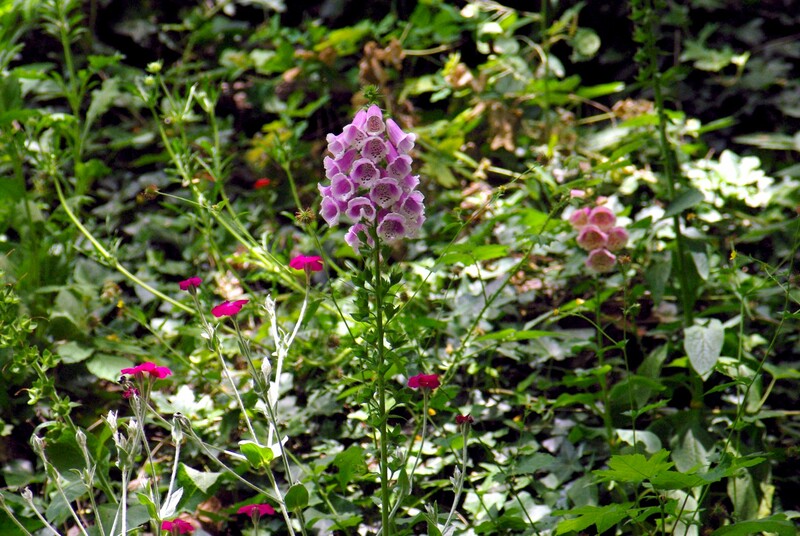 It connects the capital to Burgundy, Lyon, and the Mediterranean regions of Provence and Languedoc. It is also an international station with trains to Rome and Milan. 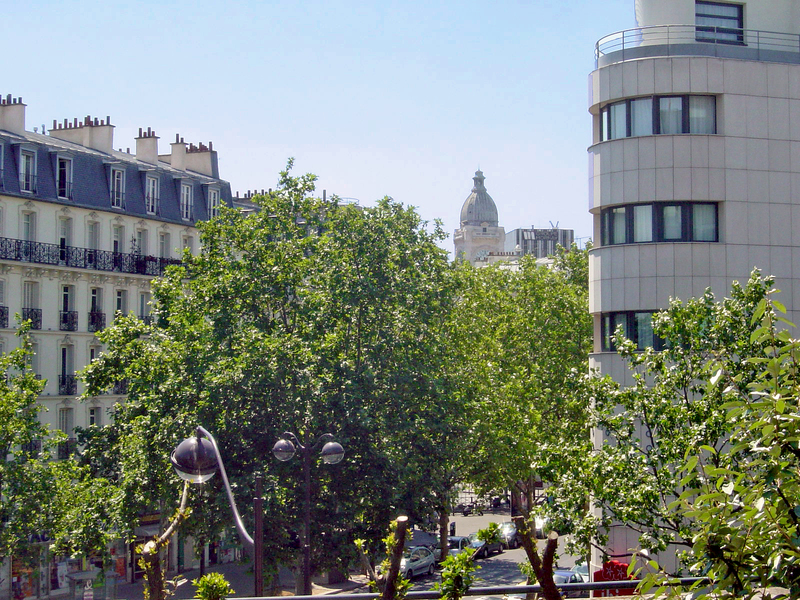 The Promenade plantée is probably the best spot to view the surprising top of the 12th arrondissement’s Police station. All the balconies of the two last levels of the building are separated by a copy of Michael-Angelo’s “The Dying Slave”. 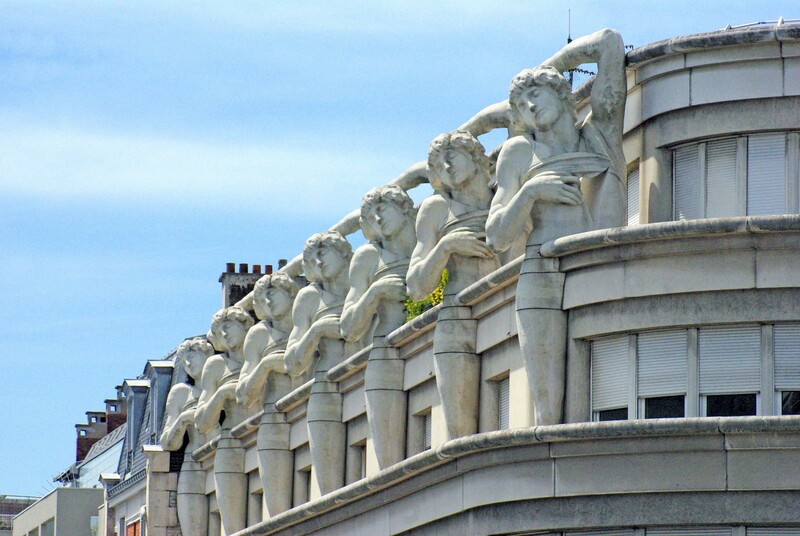 The 12 reproductions might symbolise the number of the arrondissement (the 12th). The original copy of the statue can be seen in the Louvre museum. Do not be misled: the imposing building with its statues is not at all old for it was constructed in the 1990s! Audacious architecture from the 1980s links the Viaduc des Arts to the Jardin de Reuilly. An impressive arched footbridge made of metal and wood spans over the round-shaped Jardin de Reuilly, created in 1992 on the site of an old freight station. A long time ago, an ancient castle for the Merovingian Kings used to stand there beforehand. 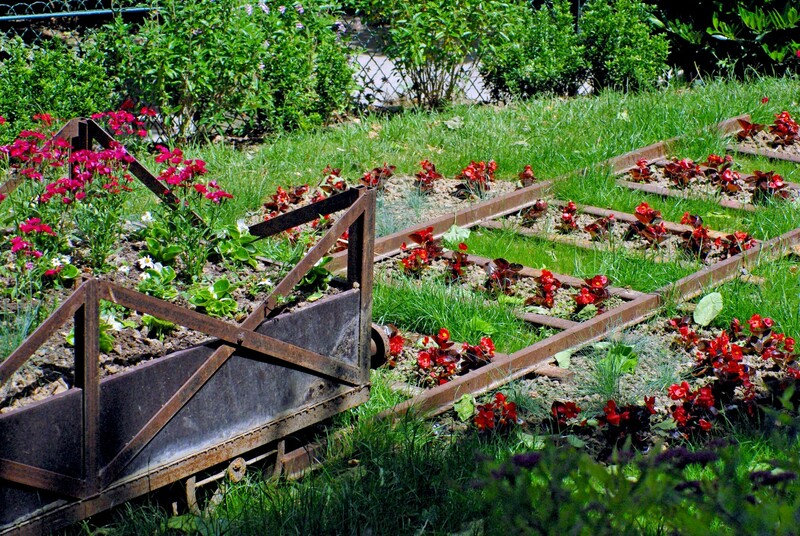 Based on the number of people staying in the garden during the summer, it has become a favourite outdoor site for the 12th arrondissement’s inhabitants. 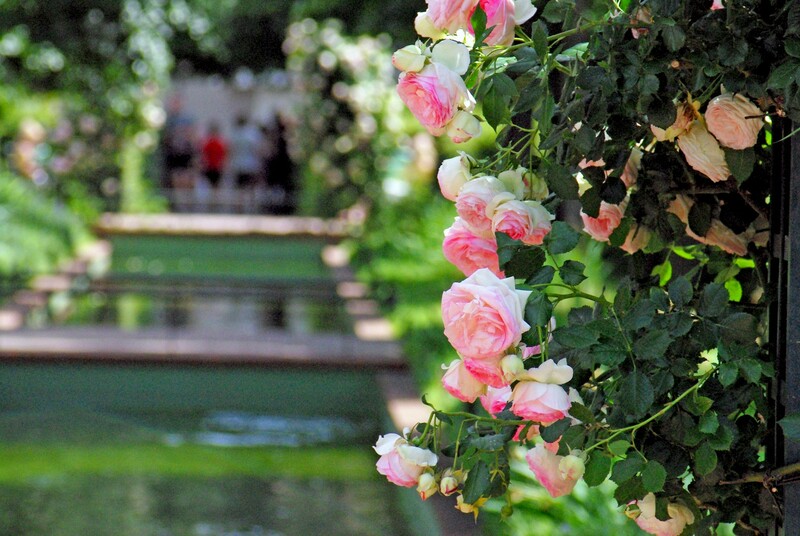 There is an open-air café, a children’s playground and a rose garden. 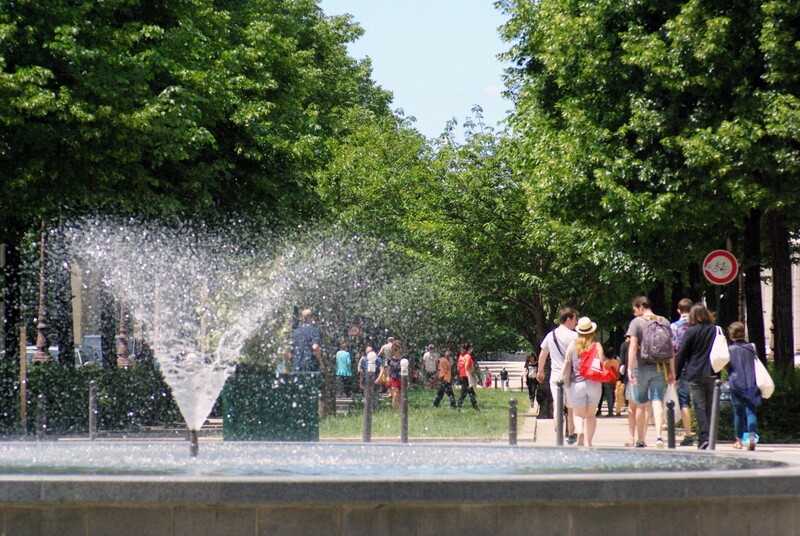 From the Jardin de Reuilly, you can opt to continue the stroll towards the Bois de Vincennes. 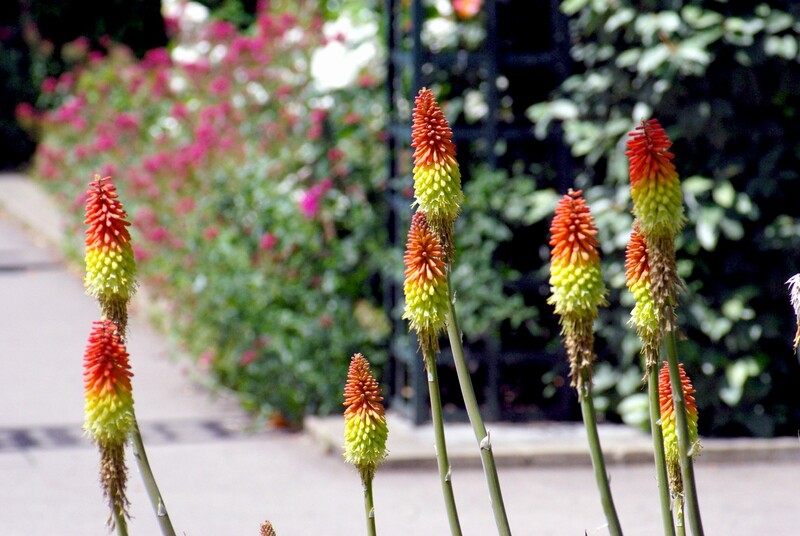 The first stage is ‘Allée Vivaldi’, a long lawn bordered by residential buildings. Then the path follows a sort of a mini-canyon. Still following the former railway tracks, the Promenade enters a kind of tunnel with five kitsch waterfalls. 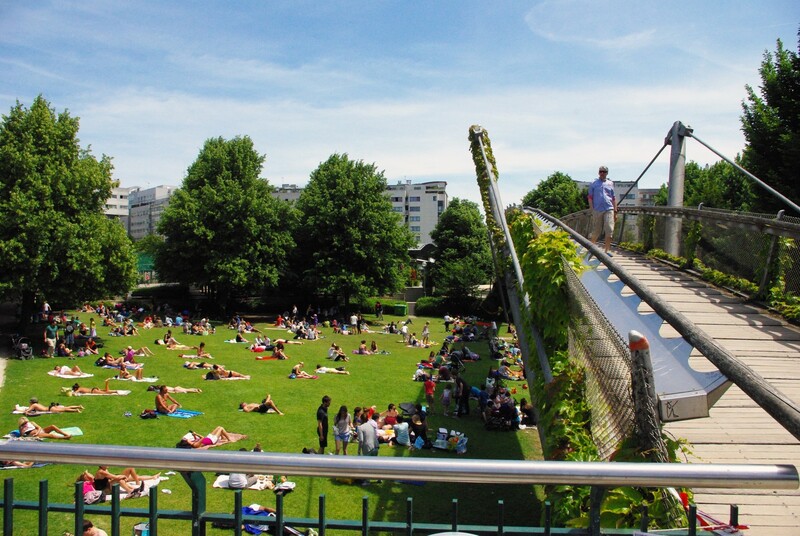 From the end of the underpass, the atmosphere of the Promenade radically changes as the path is bordered by outward steep slops covered with foliage… however, some observation towers along the way provide occasional views over residential areas bringing us back to reality: we are still in Paris! 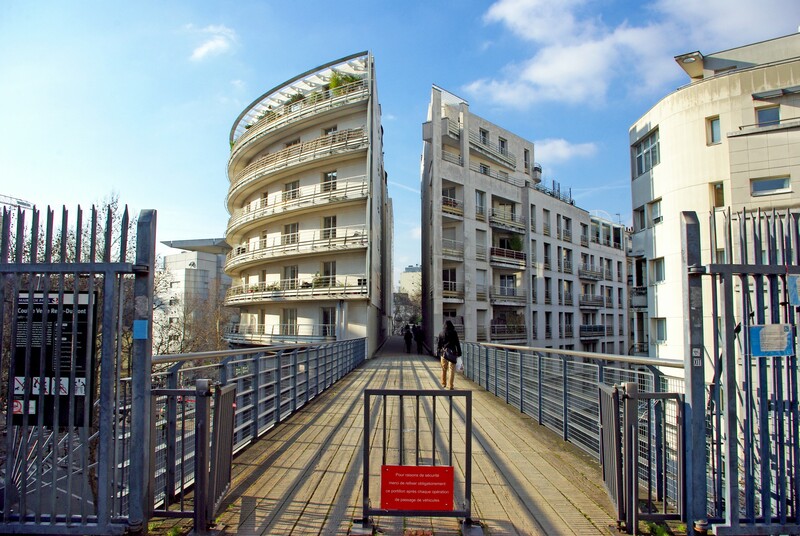 You can exit the Promenade at many times and reach the spacious Place Félix Eboué (métro station Daumesnil) from where you can easily reach other parts of Paris. nearest métro station: Daumesnil, lines 6 and 8.
nearest métro station: Bastille, lines 1, 5 and 8.
nearest métro station: Dugommier, line 6 and Montgallet, line 8.